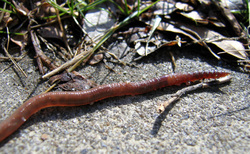 The earth worm is one annelid you may see daily. It is a very simple creature and hasn't evolved much. It has no respiratory organs and breathes through its skin which gives off carbon dioxide. It skin is always moist which helps it take in oxygen. A leech is an animal that may disgust some people out but its blood sucking mouth is also used by hospitals to help the sick. 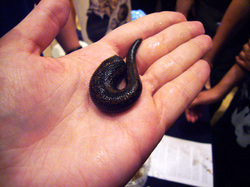 The leech is also a very simple animal that has not evolved much. It has no respiratory system and the gas exchange takes place at skin level where oxygen is taken in and carbon dioxide is taken out. 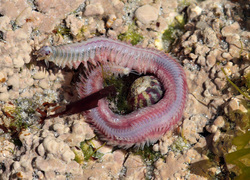 Ragworms are a marine worm used for fishing bait. They have no gills or respiratory system just like the rest of the annelid phylum. They get oxygen through their skin in a gas exchange of oxygen and carbon monoxide.